We have a regular service with Azex and Freddy did a great job on our house, but most importantly, he picked up the dogs outside water bowl, and turned it upside down, so that no spray could get into it. I was very touched that he took this extra moment to make sure our beloved dog was safe. Thank you Freddy and Azex. 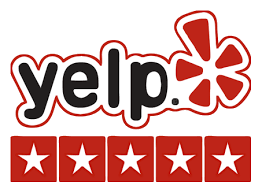 If I could give the team at AZEX Pest Solutions more than 5 Stars, then I’d give them 10! Always professional, courteous, timely and very knowledgable regarding bed bugs (and ALL pest problems), how to remove them from my home…and most importantly, how to prevent ANOTHER infestation! Caleb is an amazing exterminator, detailed & explained my bedbug problem in an honest, straight forward way that I understood. Plus, he gave me packages with affordable options! I was amazed at how AZEX Pest Solutions empowered me to use self-service rentals to save A LOT of money & still get the job done thoroughly. BIG Thanks to Dorie, Caleb and the whole AZEX Family…because that’s how they treated me – as FAMILY! USE AZEX Pest Solutions for ALL your Pest Control needs today! When it comes to bed bugs, these guys are the professionals. Bonnie is awesome when it comes to customer service and explaining what not to do and what to do to provide protection against these tenacious bugs. With Wyatt by her side, we feel reassured that our bugs are a thing of the past. Thanks again AZEX, we appreciate you!!! The first service was about an hour ago. I called yesterday and was told a tech would call me back. He did in a matter of minutes. Tech called prior to service and within the time frame, I was told yesterday. He arrived on time, was courteous, took care of the issue, listened to my safety concerns and appears to have been through. I have been in management for years and i was floored by the professionalism of Caleb.. We literally had another company on the way and we cancelled after talking to him. No corners cut, no nonsense and great knowledgeable work. Couldn’t be more pleased, we are new to the area and really worried about all the pests we have been encountering. After having AZEX out, our minds are at ease. We are so grateful to Charles for the promptness, extra care, and time is taken to check, explain, and treat thoroughly. We will continue to use AZEX and will recommend friends and neighbors. I would like to take this opportunity to thank Dorie for her fantastic customer service. When I called her she was very thorough on the process and everything that needed to be done. She took me to the website walked me through how to place an order as well as ensuring that I watch the videos that were provided on the website. When I went to pick up the equipment everything was well organized and an easy process. We need more people like Dorie, working with the public. She was fantastic!!!!!! I will definately be a return customer and refer your company to others because of Dorie. She us to be commended. I would give her more than 5 stars!!!!! Thank you!! Azex has given me exceptional service over the years! Quick scheduling, easy billing and products I feel comfortable with having in my home with my family. Highly recommended!! These guys do a great job! Very dependable and friendly service. Also, very thorough in making sure the job was done right! I recommend AZEX Pest Solutions to anyone whether they have a full blown pest problem or just maintenance. Discovering that you brought bed bugs home in your suitcase from a weekend out of town is traumatizing. After reading everything on the internet about how difficult it is to get rid of those little buggers I was officially f-r-e-a-k-e-d out. Thank goodness I called AZEX. Not only did they make the process very, very, very simple (got rid of ALL of them in ONE day with a heat treatment) but they were incredibly professional, knowledgeable, and had an excellent bedside manner to boot (yes, bad pun intended). The heat treatment is a bit pricey – but TOTALLY worth it. And the bedbug-sniffing dog identified not only which suitcase I brought them home in, but also where in the house they had nested. Thank you to the entire staff of Azex. Your professionalism and hand-holding made this experience soooo much better! I contacted them on Monday about a black widow problem. Freddie called me back and was ready to service me the same day. I had to wait one more day and he was very flexible. He came out on time. Extremely courteous and professional and knowledgeable. He explained all my options and treated my house inside and out even though it was pouring rain. Outstanding customer service and highly recommend. Save money and kill bed bugs yourself by renting professional bed bug heaters. We offer the same heaters the pros use every day.